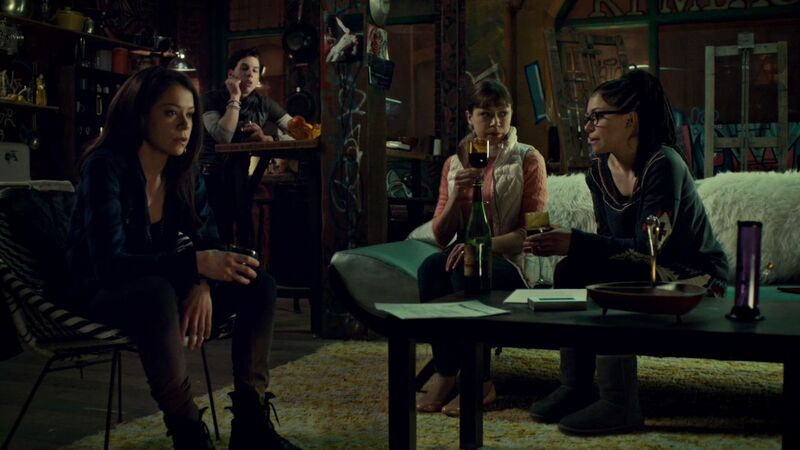 Orphan Black Season 1 कैप्स. . HD Wallpaper and background images in the ऑर्फन ब्लैक club tagged: photo orphan black season 1 screencaps. This ऑर्फन ब्लैक photo contains चोली, ब्रासेरी, and खाने की मेज. There might also be बिस्टरो, भोजन कक्ष, वचनालय, and पढ़ने का कमरा.